You are currently browsing the Suburban Homesteading – Frugal Living blog archives for February, 2011. Mankind has been growing their own food for thousands of years without all the fancy, expensive gadgets that we see on the market today. Why waste your money when you can make your own garden supplies with materials you probably already have on hand or can scavenge locally. From early spring till fall’s first frost, vegetable gardens can yield not only delicious crops but exercise and life skills as well. But, to get to the point of picking fresh produce you grew yourself you must first start – with a garden plan. Winter is the perfect time to sit and dream and plan out what your garden will look like long after the cold weather disappears. To begin with, decide what types of vegetables you want to plant and make a list. Then measure all the areas you have available that can be planted. Think about flowerbeds or parkways that could help you expand your available planting area. Not all vegetables need to grow in a set aside garden area. In fact, I normally grow some vine crops like melons, squash and pumpkins in flowerbeds, and every fence is a potential trellis for peas and beans and other vine crops, saving the “garden” for root crops, tomatoes and salad greens. Once you have measurements for the areas that can be planted, plot them out on graph paper and get ready to “lay out” your garden. 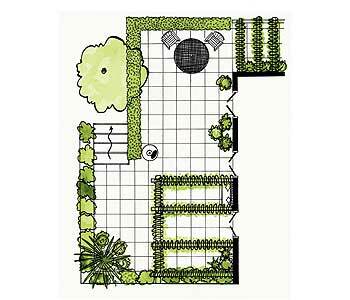 Using the growing space requirements for each crop, measure and build your graph paper garden. This will help you see if modifications need to be made because of space challenges. My garden will be smaller this year because Brianne wanted a larger exercise area for her lambs (a sacrifice I was willing to make since this is her last year to show). What won’t change though is the geometry I use to maximize production. The 17’ x 14’ main garden area will have a center pathway of two feet. Each row of vegetables will be 2-feet wide with a one foot wide path between them for easy weeding, hoeing and harvesting. To help control the weeds and retain moisture, each row will be mulched with a layer of chipped wood, given away for free from our local library. At the far end of each row, a variety of tomatoes will be planted for fresh, slicing, canning and sauce. Larger vegetables like cauliflower, broccoli and cabbage will be interplanted with smaller, faster growing root vegetables and greens that become harvestable long before the larger vegetables grow big enough to shade them out. On the pathway end of each row I’ll plant marigolds and herbs to help ward off insects. Non-traditional garden areas will be amended with composted rabbit, chicken and sheep manure to improve the soil quality and give the transplants a good start. Once planted, these garden areas will also be mulched to keep down the weeds. While I spend my evenings “fine tuning” my garden plan, daylight hours are for starting seeds. Vegetables like broccoli, cabbage, cauliflower, cucumbers and tomatoes like to be started indoors weeks before they are ready to “plant out” in the garden. I use a homemade seed soil mix of well-rotted compost, good soil, peat moss and sand. Pony packs, 4-inch pots, clay pots and other containers are collected year-round from family and friends. They have to be sterilized though to help prevent the potential spread of disease. I do this by mixing one teaspoon of bleach to every one gallon of water in a five gallon bucket, then rinsing each container well with clean water. Spring is still weeks away, but so far this season we’re off to a good start. Our mild weather and decent rain has made life easy for early season cool weather vegetables. And, if things keep up we’ll have a garden bursting with vegetables full of color and flavor by the beginning of summer. So, folks, how are your garden plans coming??? 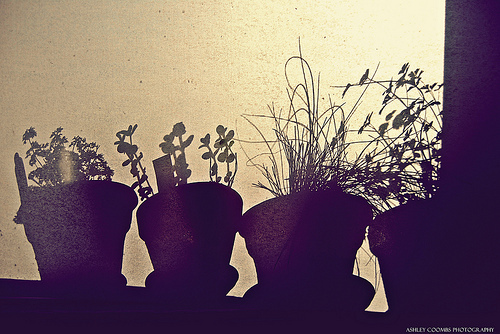 Most herbs are annuals and won’t last the winter in many parts of the country. But, you can extend your fresh herb season by freezing them. Here’s the trick: pick the freshest, brightest, cleanest, most undamaged leaves, remove the stems, chop finely, and place in a bowl. (Cilantro can be chopped stems and all) Add enough olive oil or vegetable oil to just cover, and then spoon the mixture into an ice-cube tray and freeze; when the cubes are solid, store in a re-useable freezer container. Frozen herbs can be stored for up to 3 months. Herbs like mint, basil and cilantro can liven up a simmering pot of soup, a savory sauce or even a hearty stew; just drop a frozen cube into the pot. Or, you can first defrost the cube and strain out the herbs. Don’t be wasteful though – the seasoned oil can be used in salad dressings or on steamed veggies. We all know about bed quilts. And I’m sure you’ve read about barn quilts, those 8-foot square pieces of folk art that adorn barns from Kansas to Iowa to Pennsylvania. But, have you heard of Coop Quilts? Probably not. After reading a magazine article on the history of barn quilts and the renewed interest in displaying barn quilts on farms of all sizes, I just had to have one of my own. But, how? I’m not a farmer living on large acreage with a barn bigger than a house to mount the wooden quilt to. I’m a suburban farmer with things done on a smaller scale, including my barn. Well folks, where there’s a will there’s a way. Right? I spent a bit of time looking at my barn and looking over the pictures in the article and came up with the idea of a Coop Quilt, a barn quilt in miniature, just like everything else on my suburban homestead. I used a scrap piece of plywood and cut it to 24” X 24”. I found some leftover white primer and painted the board on all sides, including the edges, with two coats. 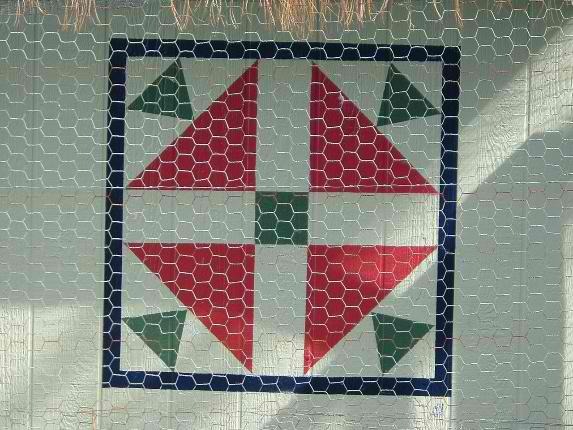 While it was drying I searched the internet for a quilt block pattern I liked. Nothing to intricate or complicated, I wanted the pattern and the colors to stand out. I also gathered up all the leftover paint to see what colors I had that would go well together. After the primer had dried and I had found a quilt block pattern I liked, I traced the pattern onto the board with pencil. Working from the center out, I taped off a section at a time with blue painter’s tape, so the lines would be nice and crisp. I tried to paint sections of the same color all at once. When each section was finished I let the quilt dry completely before starting on the next section. In just a few hours my Coop Quilt was complete and ready for hanging on my barn. Since my barn is not very tall and there isn’t much room over the end doors, I opted to mount my quilt on the side where I could see it from anywhere in the yard. Not bad for Yankee ingenuity, aye. **The quilt pattern I chose was “Hens and Chicks”. Very appropriate, don’t you think? 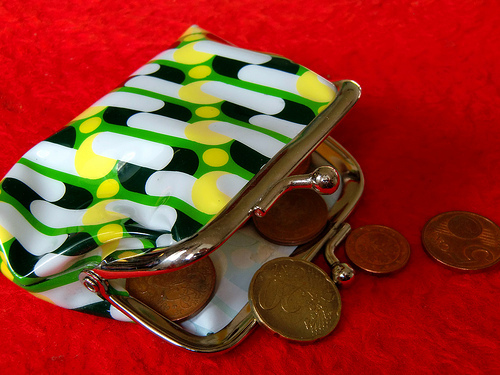 Rumor has it that an inflationary period is headed our way, sometime in 2011. That means higher prices on food and other necessary items. Early planning could smooth out some of the ripples, like cooking more from scratch, eating at home and buying fewer pre-packaged items. Many food items that have become commonplace in our society claim convenience and portability as their selling point; but, what manufacturers don’t want you to know is that convenience is costing you big bucks. Not to mention the waste (in packaging) it produces. Check out our list of 15 commonly purchased items that could be dipping into your wallet and learn how you can make homemade substitutes for pennies on the dollar. Not only will the homemade versions save you money they will taste better too, because they can be made with fresh organic ingredients, either homegrown or purchased from a Farmers’ Market. Oh sure, it may be easier to buy a package of frozen corn in butter or broccoli in a cheese sauce, but why would you when you can make your own? Just cook the corn, add a tablespoon or so of butter and sprinkle with salt and pepper. The same goes for broccoli. Simply steam the florets, and while steaming, melt some butter, stir in flour, warm the milk, add cheese, salt and pepper to taste and there you have it – veggies everyone will devour. 2. Heat and Eat Sandwiches. When you buy a pre-made sandwich, what you are really paying for is the elaborate packaging — plus a whole lot of salt, fat, and unnecessary additives. For the average cost of one of these babies ($2.50 to $3.00 per sandwich), you could make a bigger, better, and more nutritious version yourself. At nearly $5 per box, frozen ‘all fruit’ or ‘fruit and juice’ bars may be low in calories, but they are certainly are not low in price. Using simple equipment like a blender, plastic reusable ice-pop molds (on sale at discount stores for about 99 cents each), or small paper cups and pop sticks or wooden skewers, you can make your own at home and get the flavors your family likes best. Well folks, I can hardly believe it. Our little blog is approaching its second anniversary. It’s this time of year that I like to ask all you folks to Come on in and Grab a Seat, meaning we’d like to hear from you. You can share a little about yourself, your homestead or your dreams of starting a homestead, give as much or as little information as you’d like. Or, perhaps you’d like to make a suggestion for the blog – topics, projects, recipes, etc. This is a way for us to see who we are writing to, get to know you a little better and meet the needs of people who stop by to read what’s going on. It’s also a way for all of you to connect with like-minded folks in your area. How cool would that be? The internet is great, but it keeps us indoors and disconnected a little too much. It’s a tool for networking and learning to be sure, but should not replace person-to-person communication and relationships. By saying hello here you might just find a new friend right in your town that has the same wants and desires and dreams as you. It may spark a new gardening club or potluck or meet up or someone to attend that sustainable farming lecture with. So come on in, grab a seat and say hello. I’ve come to realize that most of my education on the farm has been as much a case of learning by chance then by deliberate study. Or should I say we learn just by living. For certain, the learning we gain through experience or by doing sticks with us long after the classroom fades. 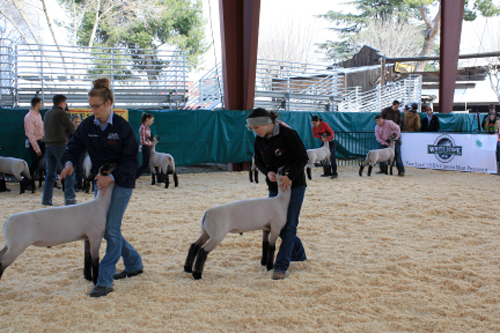 I may not remember anything about my statistics class, but I will not forget what happened when I was dumb enough to walk through the corral with a bucket full of grain or store my feed bins too close to the sheep pens. 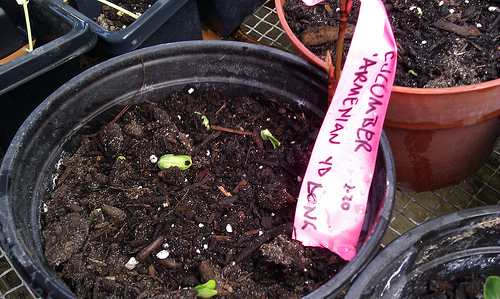 I’ve learned by chance, for example, that a good way to start pumpkin seeds is to let the pumpkins rot in place. As the bottom of the pumpkin decays away the seeds start to sprout inside the shell, protected by winter cold. In spring all I have to do is transplant the tiny plants into individual containers until they are ready to plant out in the pumpkin patch. Seeds dropped by birds or blown in on the wind can nestle themselves into friable debris piles near the barn and come to sprout in the warm composting material until ready to plant. Place 2 cups of chopped fruit or hulled berries into a blender with ½ cup of sugar and puree until smooth. Pour into a fine-mesh sieve, pressing fruit with a spoon or spatula to strain out any skin or seeds, and into a glass measuring cup. If you like your pops with pulp you can skip the straining part. 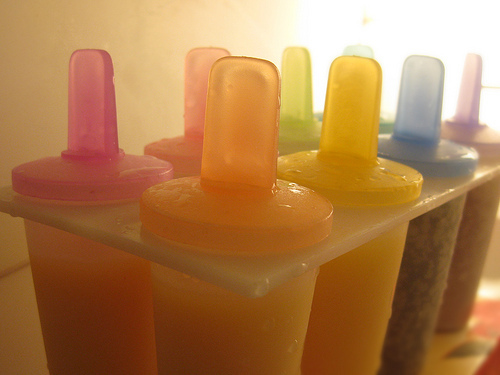 Pour mixture into Popsicle molds, insert sticks and freeze until firm, at least 4 hours. Store up to one week – if they can last that long. 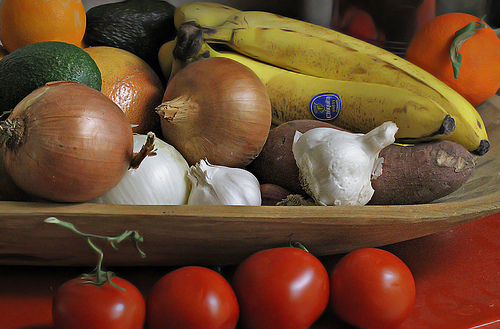 Vegetables are an important part of a healthy diet because they contain many beneficial nutrients, but cooking can pull out many vitamins, like C and B. To get the most out of your veggies limit their exposure to air, heat, water and time – the enemies of fresh produce. Start buy purchasing the freshest most vibrantly colored veggies you can find. Wait to cut them until right before they are to be cooked. Try to keep pieces large so less surface area is exposed to air and heat during cooking. Cook quickly to limit the time veggies are heated: steaming is the best way followed by microwaving. Boiling is not recommended because it leaches out important vitamins into the water. Regardless of your cooking method the most important thing is to include plenty of colorful veggies in your diet.